Since there are numbers of players available for Windows platform, it is not so easy to choose a right one player for your computer. In addition, with the increasing number of newer media formats, not all media players are capable of supporting all popular video formats like H.265, MKV, FLV, AVI, MP4, MOV, M4V, MXF, MTS .etc. That's why people always ask the question "Which is the best media player for Windows?" In this article, we will list the 2018 top 5 free media players for Windows 10. As the No.1 media player, Brorsoft 8K Video Player (Mac version) is the best extremely compatible media player for Windows 10, not only because it plays all kinds of video and music without any plug-ins, but also because it is multifunctional, ultra clean, simple and fast. -Best 8K Video Player- Afford almost all 8K videos including AVI, MKV, HEVC, MP4, MOV, WMV, M2TS, FLV, MP3, AAC, OGG, WMA, etc. -Best Blu-ray Player- Play multi region Blu-ray/DVD/ISO files on Windows 10 despite that they are region coded DVDs or CSS encrypted DVDs including Sony DVDs and Disney DVDs. 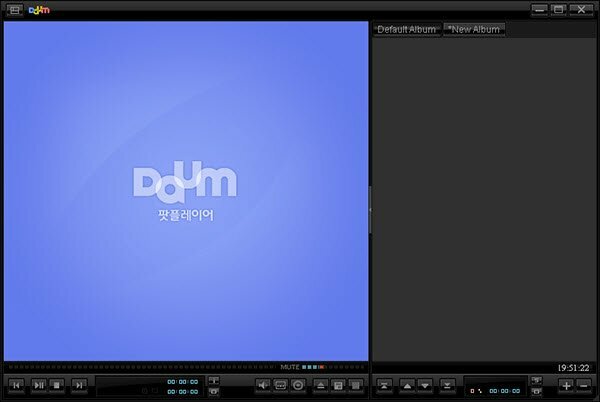 Meanwhile, it offers some additional features besides playback function such as making gif, adding bookmark, recording video screen, taking snapshot, looping video, and so on. Whenever we start any discussion of the best media players and how great they are, the name VLC automatically comes at the top. 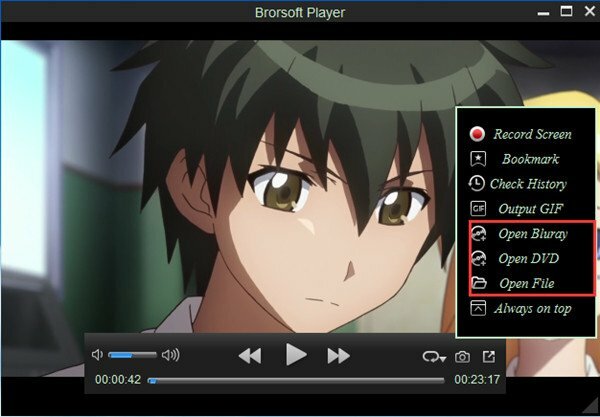 It is a free and open-source media player that's available for all popular platforms. Created by the VideoLAN project, VLC Media Player is known to support a vast number of audio and video compression methods and file formats. Over the years, VLC has earned the reputation of being the "play everything" video player. From time-to-time, this free movie player keeps receiving new features and updates. Recently, it has been updated on Windows 10 with VLC new features. But the newest version is still unstable; sometimes you have to fix VLC not working and solve the audio delay problem in VLC or even look for VLC alternative. This recommended media player comes with a wide range of customization options that allow you to make this software fit for your needs. It's a great player for MP4/FLV/AVI/MKV files, which are very common. You have the option to make a choice between sound cards, bookmark your favorite scenes and preview them, etc. You also get filters for brightness, contrast, hue, noise reduction, etc. While, there are also a lot of uders mentioned that it can not fully support H.265 high definition videos, let alone BD/DVD/ISO files supporting. KMPlayer is another great and free Windows 10 media player that possesses the ability to play almost all mainstream video and audio files. As it has an inbuilt codec for Windows 10, the users don't need to look for any different codec. With the support for 3D, 4K, UHD support, the users can enjoy high definition videos like H.265 on computer. Media Player Classic Home Cinema is a light-weight media player for Windows 10. It has built-in codecs for MPEG-2 and LPCM, MP2, AC3 .etc. It also features a DVD player software on Windows 10 like Brorsoft 8K Player. From the list of 5 media players for Windows 10 above, you can clearly find that they are all have their own features, some are able to play DVDs on Windows 10 while the others are not designed for that. Download and test one by one, you will find the most compatible media player for Windows 10.